Publix Super Markets Incorporated (commonly called Publix) is one of the most popular grocery chains in the Souther United States. With over 1,000 locations throughout the country, it is one of the largest chains of grocery retailers in operation. 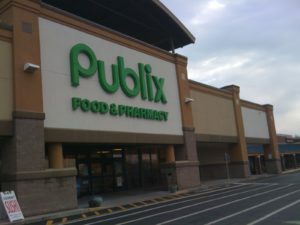 Known for its high-quality gourmet products, professional level services, and excellent customer service; Publix is has a loyal customer base. Customers are able to conduct certain financial transactions in their local Publix including purchasing a money order. Below you will find important information about Publix money order. Publix locations currently use Western Union to complete money order purchases. These Publix money orders bear the Western Union name and can only be used in the United States. Money orders can be purchased during normal business hours at the customer service desk located inside all Publix supermarkets. Even though Publix sells money orders, they are currently unable to cash any money order. At this time money orders purchased cannot exceed the amount of $500.00. The fee to purchase Publix money orders is currently $0.89 per transaction. To find a Publix money order location near you click HERE.